Another independent bookstore in the Twin Cities is closing. And the passing of True Colors--which has been in business for 40 years--raises that recurring question: How can we live without bookstores? When I blogged about True Colors in December--when owner Ruta Skujins said she was considering closing--the comments that readers left were telling. Many said they were sorry to see another indie bookstore go, but the truth was they couldn't afford to buy books. One reader confessed to browsing bookstores and then checking the books out of the library. Others spoke boldly of seeking better prices on the web. All of the arguments--local businesses employ local people, and pay local taxes, and keep storefronts occupied and busy and streets, therefore, safer--cannot always persuade people who are watching their money carefully. The long view is a harder view to take; it's easier to jump at the chance to save $5 on the Web than it is to think that buying local will mean better things down the road, or that good things continue. 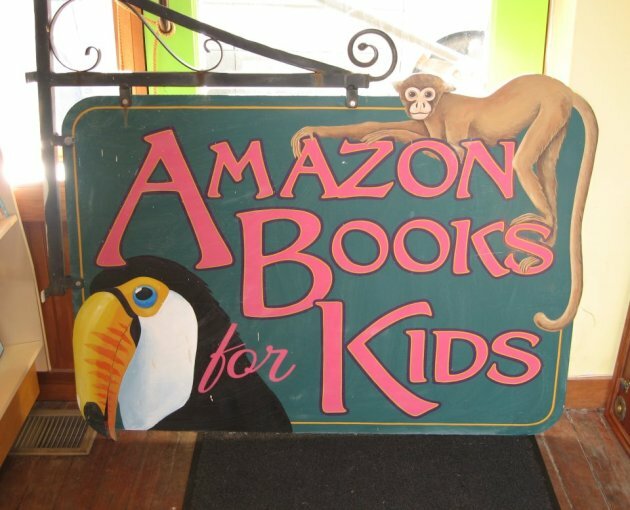 The store's kidbooks sign is now for sale on E-bay. And so True Colors is closing, and an icon of Minneapolis' history will be gone. The last day of business is Monday. All books are on sale, the fixtures are listed on Craigslist, the artwork is posted on Facebook. It is sad and ironic that stores' busiest days are often their last.